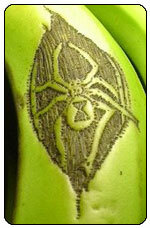 This one, via The Yummy Banana, apparently first appeared on The Tattooed Banana, but it seems to have been removed from that site. In 2004, London refused to allow artist Doug Fishbone to install an artwork consisting of 10,000 bananas at a site in the City’s then-fashionable Spitalfield district. Fishbone had in August 1999 had a triumph with a similar display in Ecuador. 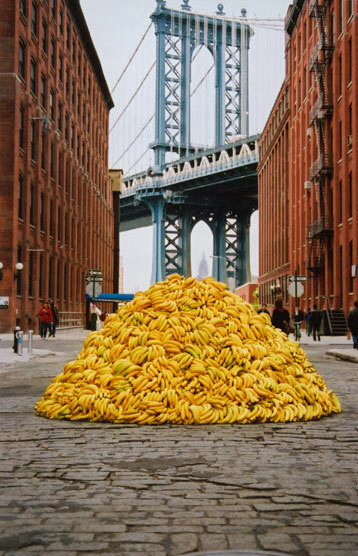 Here‘s a pic of his March 2005 installation in his native Brooklyn, consisting of 20,000 bananas piled up in the middle of the street. 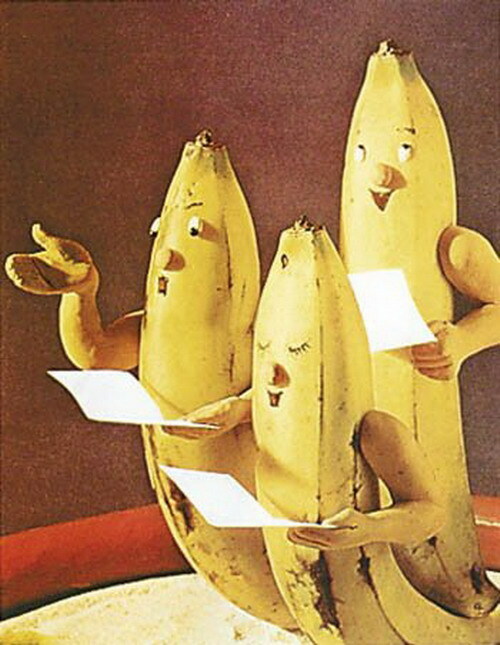 The song says “I like bananas because they have no bones.” That’s one of the reasons I like bananas. I also like the Hoosier Hotshots, though apparently they did have bones. 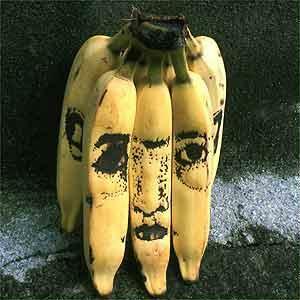 Via www.weirdomatic.com, some banana art.